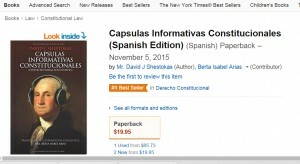 In a very short time, Cápsulas Informativas Constitucionales, the very first book in the Spanish language devoted to discussion and explanation of the found documents and principles of the United States has become a #1 Best Seller on Amazon. During a presidential election year the Constitution is a backdrop for every issue. With the increasing influence of the Latino electorate the importance of this book will only grow. Honoring a proud tradition, Cápsulas Informativas Constitucionales promotes understanding of American freedoms in readers’ native tongue. This work represents, in a format that modern media consumers prefer, a tradition the Founders began in 1787 of informing citizens about the country’s founding documents in their native languages. 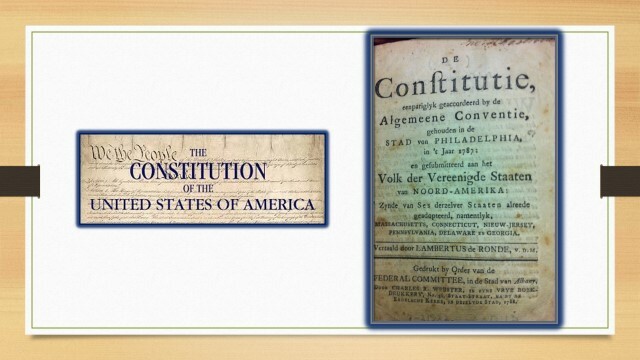 On September 17, 1787, the Constitutional Convention in Philadelphia finished its work and sent the proposed Constitution out to the states for approval. The first thing the Pennsylvania legislators did was order copies to distribute to their citizens. They ordered 4,500 copies. Three thousand were in English and 1,500 were in German. One third of Pennsylvanians in 1787 spoke only German, and the approval of German speaking Americans was just as important as the approval of the English speakers. A similar thing happened in New York. New York was originally named New Amsterdam. In New York, during the 1787 ratification debates, care was taken to ensure widespread distribution, in Dutch, of the proposed Constitution. At the very start of this great experiment in self-government, the Founders began a tradition to insure that non-English speaking citizens of the United States have the information available to fully participate as directly informed citizens. In 2016, with over 35,000,000 Spanish speakers in America, maintaining that tradition is crucially important. With Cápsulas Informativas Constitucionales, (available at http://amzn.to/1PpFhfz), Spanish speakers can read not only the Declaration of Independence, the Constitution, and the Bill of Rights in their native language but they now can also learn the accurate historical context and contemporary implications. All of this is accomplished in a simple, unbiased, easy-to-read format taking into account the “sound bite” nature of today’s cyber-driven, fast-click culture. Constitutional lawyer, author and radio host David J. Shestokas and novelist Dr. Berta Isabel Arias, a noted language expert and longtime educator, joined to produce in Spanish, an expanded single-edition of Shestokas’ Kindle series: Constitutional Sound Bites. Their collaboration acknowledges the significance of America’s diverse and growing Latino population and electorate. 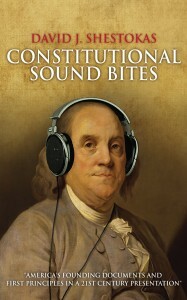 A companion English edition, Constitutional Sound Bites, which collects and expands upon the original series has been recently released and is available in print and as a Kindle eBook. With information going far beyond the basic civics education provided in preparation for citizenship exams, Cápsulas Informativas Constitucionales will help Spanish language readers understand the history and context of America’s founding documents, identify the freedoms and rights guaranteed to all citizens, and actively participate in the democratic process. The availability of the information in both English and Spanish will facilitate the sharing of the ideas, principles and history of the United States’ Founding across the barriers of language. Cápsulas Informativas Constitucionales is the first element of an ongoing project to provide educational information in Spanish about the US Constitution. The website De Los Estados Unidos, has followed with more to come.